Charles Dickens's A Tale of Two Cities portrays a world on fire, split between Paris and London during the brutal and bloody events of the French Revolution. This Penguin Classics edition of is edited with an introduction and notes by Richard Maxwell. 'It was the best of times, it was the worst of times...' After eighteen years as a political prisoner in the Bastille the aging Dr Manette is finally released and reunited with his daughter in England. There, two very different men, Charles Darnay, an exiled French aristocrat, and Sydney Carton, a disreputable but brilliant English lawyer, become enmeshed through their love for Lucie Manette. From the tranquil lanes of London, they are all drawn against their will to the vengeful, bloodstained streets of Paris at the height of the Reign of Terror and soon fall under the lethal shadow of La Guillotine. 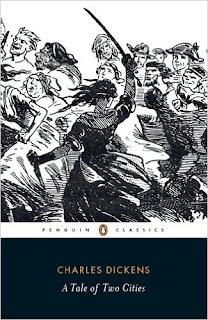 This edition uses the text as it appeared in its first serial publication in 1859 to convey the full scope of Dickens's vision, and includes the original illustrations by H.K. Browne ('Phiz'). Richard Maxwell's introduction discusses the intricate interweaving of epic drama with personal tragedy. Charles Dickens is one of the best-loved novelists in the English language, whose 200th anniversary was celebrated in 2012. His most famous books, including Oliver Twist, Great Expectations, A Tale of Two Cities, David Copperfield and The Pickwick Papers, have been adapted for stage and screen and read by millions. 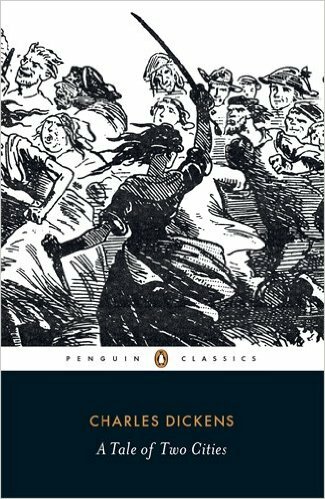 If you enjoyed A Tale of Two Cities, you might like Dickens's The Old Curiosity Shop, also available in Penguin Classics. Charles Dickens (1812-70) was a political reporter and journalist whose popularity was established by the phenomenally successful Pickwick Papers (1836-7). His novels captured and held the public imagination over a period of more than thirty years. Richard Maxwell teaches in the Comparative Literature & English departments at Yale.